Until recently, the enforcement of anti-bribery provision was low on the list of priorities of the Dutch Public Prosecution Service (PPS). It appears catch-up efforts are being made resulting in landmark convictions and settlements in recent bribery and corruption cases. The Dutch Criminal Code (DCC) includes several provisions on bribery. A distinction is made between bribery of public officials and private commercial bribery, depending on the capacity of the person being bribed. A further distinction is made between active and passive bribery. Active bribery relates to the briber's conduct by giving a gift or a promise, or rendering or offering to render, a service. Passive bribery, on the other hand, refers to the recipient (i.e., the person being bribed or allowing himself or herself to be bribed) by accepting a gift, promise or service. Bribing a public official with the aim to induce him or her to perform a prohibited or unlawful act (Section 177 DCC) and bribing a public official with the aim to induce him or her to perform a permitted or lawful act (Section 177(a) DCC) are punishable offences. The decisive factor in determining whether a recipient should be punished is whether he or she knew or should reasonably have suspected that he or she was being offered a gift, promise or service to induce him or her to act or refrain from acting in a given manner, regardless of whether or not he or she acted in breach of his or her duty (Sections 362–363 DCC). Sections 178 and 364 of the DCC provide for the penalising of bribery of judges, which includes national and international judges and arbitrators. There is no overall definition of the term 'public official' in the DCC. Section 84 explicitly states that public officials include members of general representative bodies, judges and those who belong to the armed services. However, the scope of this term is much broader. The Supreme Court of the Netherlands defines a public official as 'a person who, under the supervision and responsibility of the government, has been appointed to a function which undeniably has a public dimension to carry out some of the powers of the Kingdom or its agencies'.2 This definition includes the following three criteria: (1) the function of the official is, in large part, influenced by governmental institutions, notably if the official has been appointed under the supervision and responsibility of the government; (2) the function of the official is of a public nature; and (3) the official's tasks entail the execution of governmental tasks.3 It is irrelevant if this person is also considered a public official from an employment law perspective.4 It follows from case law that the scope of the definition of a public official should be quite wide. Depending on the circumstances, employees working in private organisations who perform a public service will be considered public officials as well. However, persons employed by private companies with commercial objectives of which the Netherlands is the (majority) shareholder are generally not considered to be public officials, because they do not perform any portion of the government's duties and are not appointed by the Dutch state. To be liable for bribery, the relevant act or omission must relate to the execution of the duties of the public official, including past or future duties. The courts decide this based on case law. From case law, it follows that the official's authority to perform or omit the act is irrelevant.5 The criterion is not met if the act or omission is strictly related to the official's private life. In general, providing favours to public officials is not allowed. The Dutch provisions use the terms gift, promise and service to describe the advantage that is offered by the briber. This can involve both material and immaterial advantages. Although these favours will need to have some sort of value for the recipient, nevertheless, this could be of a non-commercial nature and may be of value only to the person who receives it. The law does not provide definitions of culpable and non-culpable gifts. This implies that customary gifts of little value – for example, representational gifts such as a bottle of wine, a cup of coffee or a cigar – also potentially fall within the scope of the provisions on bribery. Something that is considered not to have any value at all to anyone and is completely worthless will not be regarded as a gift in any circumstances. Business gifts are allowed under certain conditions only. It follows from several administrative regulations and codes of conduct that most public officials may accept up to €50 worth of business gifts. The precise boundaries are set by the courts through case law. There is no general rule preventing public officials from participating in commercial activities while serving as public officials. However, several laws prescribe that public officials are not allowed to have any ancillary functions that may be considered incompatible with the performance of their functions. Members of representative bodies and judges should keep all additional functions in a public record. Subsections 1 and 2 of Section 328 ter of the DCC provide for the offences of passive and active bribery of persons that are not public officials: private commercial bribery. No distinction is made between sectors of society (profit and non-profit). Passive private commercial bribery is punishable if the employee or agent, who, in relation to an act or omission in breach of his or her duties as an official, accepts or asks for a gift, promise or service. Active private commercial bribery is punishable if the person making the gift or promise, or providing or offering a service, knows or can reasonably assume that the employee or agent, by receiving the gift, promise or service acts in breach of his or her duty. Until 2015, the criterion that needed to be met was the offering (active bribery) or accepting (passive bribery) of a gift or promise by the employee or agent that 'in conflict with the requirements of good faith' was concealed from the employer. The amendment was considered necessary to meet international standards. The new criterion has not yet been applied by courts. Dutch criminal law provides that it is possible to prosecute legal entities for every kind of criminal offence. The Supreme Court held that whether or not a legal person is criminally liable for an offence has to be assessed by having regard to the special circumstances of the case, as determined by the court. Whether or not criminal liability can be attributed to a corporation depends upon the question of whether the offence can 'reasonably' be imputed to the legal entity. This may be the case if the (illegal) conduct took place within the scope of the legal entity.6 Such conduct can be considered to have taken place within the scope of the legal entity in one or more of the following circumstances: (1) the act was committed by someone who is employed by or works for the legal entity; (2) the act was part of the normal business activities of the legal entity; (3) the legal entity benefited from the act; and (4) the legal person had the power to decide whether or not the conduct took place and accepted this or similar behaviour. If the offence can be imputed to a legal entity, the persons within that entity who 'directed' or 'ordered' the prohibited conduct may be held criminally liable as well. There must be a certain level of knowledge and responsibility to act as well as an awareness of this conduct taking place or an appreciation that this conduct could occur without taking appropriate measures to prevent such an occurrence. Dutch law does not contain a provision allowing authorities to provide leniency to self-reporting offenders. However, cooperation with the authorities, self-reporting of incidents and taking adequate measures to prevent wrongdoing generally will be taken into account by the authorities and courts in deciding whether and how to prosecute and penalise these offenders. If bribes to public officials are paid through third parties or intermediaries, the latter may be guilty either of participation or complicity. Participation applies when two or more persons jointly commit an offence and where a close and intentional collaboration is presumed. Complicity requires that a person provides assistance before or during the commission of a serious offence that is actually committed by another person. Participation and complicity cannot be punished unless intent has been proved. Conditional intent (dolus eventualis) suffices as well. Anyone who fails to supervise or monitor the activities of a third party engaged to perform certain duties may, under certain circumstances, be considered an accomplice if the prosecution succeeds in proving that this person deliberately accepted the considerable possibility that the third party would commit the offence in the exercise of these duties. The punishment for active (Article 177 DCC) or passive (Article 363 DCC) bribery of a public official for individuals is a fine of up to €82,500 or six years of imprisonment, or both. Moreover, the individual may be removed from the profession he or she practised while committing the bribery. For legal entities, the maximum fine that may be imposed is €820,000, or, if this amount is not deemed appropriate, a fine of up to 10 per cent of the annual turnover of the preceding fiscal year may be imposed. The punishment for active or passive commercial bribery for individuals is a fine of up to €82,500 or four years of imprisonment, or both. For legal entities, the maximum fine that may be imposed is €820,000, or, if this amount is not deemed appropriate, a fine of up to 10 per cent of the annual turnover of the preceding fiscal year may be imposed. The National Police Internal Investigations Department – which is independent from all other investigation authorities – is charged with investigating instances of public official bribery involving high-ranking officials, judges and politicians. In other public bribery cases, the regular police forces may be charged with the investigation as well. The National Public Prosecutor's Office has appointed a special prosecutor in charge of coordinating bribery cases: the National Public Prosecutor on Corruption. This prosecutor has expertise in investigating and prosecuting bribery cases. Whenever necessary, he will head criminal investigations into suspicions of bribery. Local public prosecutors are authorised to prosecute cases of bribery committed within the boundaries of their own districts, but they may ask the National Public Prosecutor on Corruption for assistance. Complex bribery and corruption cases are usually handled by the Public Prosecutor's Office for Financial, Economic and Environmental Offences, which often works in close cooperation with the Tax Authority's Fiscal Intelligence and Investigation Service, which recently launched its own Anti-Corruption Centre. After the completion of the police investigation or the judicial investigation, the prosecutor must decide on whether to drop the case, to reach a settlement in the case or to issue a writ of summons against the offender. Where appropriate the prosecutor may also decide to conditionally suspend prosecution. It is entirely at the public prosecutor's discretion whether a case is brought before the court or is dropped (e.g., for lack of evidence), or settled out of court. Injured parties may, however, object to the public prosecutor's decision not to prosecute a suspect by submitting a complaint to the court of appeal. Until 2013, the PPS had the Instructions for the Investigation and Prosecution of Corruption of Public Officials in place, which outlined factors to be taken into account when deciding whether to prosecute a public official for bribery. Because the instructions have since been repealed, there are currently no official prosecutorial guidelines in place. The PPS has been criticised for not having an open and transparent policy, nor guidelines for self-reporting, disclosure and sentencing. In the past few years there has been an increase in prosecutions for domestic corruption offences. In the Rotterdam Port scandal, a former director of the Rotterdam Port Authority was sentenced to a partly suspended one-year prison sentence and a fine of €150,000 on account of a variety of charges, including bribery.8 In April 2017, the Supreme Court ruled that it is possible for a public official to commit bribery by acting in breach of a duty, which encompasses acting with integrity and neutrality, although there is no direct proof of placing an individual in a privileged position. Klimop is the largest real estate fraud case ever to have been tried in the Netherlands. Investigations into real estate transactions for artificial prices resulted in a seven-year prison sentence for the main suspect found guilty of, among other matters, leading a criminal organisation, workplace embezzlement, forgery, money laundering and bribery.9 Seven co-defendants were also given prison sentences varying from three to four years. The private companies of the suspects involved in the offences were sentenced to pay fines. About €12 million in fines and €15 million in confiscation were imposed on Dutch companies involved in this case. Moreover, €135 million had to be paid to fraud victims. Between 2016 and 2017, 11 suspects (including three legal entities) were convicted for bribery and fraud committed during their employment for the SNS Property Finance bank. The prison sentences imposed were up to a one-year non-suspended prison sentence and €25,000 in fines.10 Several cases were settled, with fine amounts ranging between €100,000 and €225,000. Several appeals are pending. In July 2016, by verdict of the District Court of Rotterdam, a former senator was found guilty of passive bribery (among other offences).12 In his capacity as a politician, he was responsible for real estate policy. The case revolved around a long-term friendly relationship he maintained with a real estate developer, which included trips made at the expense of the latter. While both were found guilty of bribery, the Court found it necessary to limit the range of the broad definition of bribery. The appeal proceedings are currently pending. The Vestia case can be considered a landmark case. The treasurer of the Vestia housing association received half of the commission the intermediary was paid by banks in relation to the purchase of derivatives. The derivative portfolio almost caused the bankruptcy of the housing association. In an agreement, the derivative portfolio was unwound against a payment of €2 million to the banks. Both the intermediary and the housing association's treasurer were convicted and sentenced to years of imprisonment. Both were prosecuted and convicted for commercial bribery, although the housing association may well be considered as an instrumentality and the treasurer as a public official. An appeal has been lodged, so the court of appeal will shed further light on this interesting matter. The state-owned Dutch Railways14 and several of its employees, including its chief executive officer and other natural persons, were prosecuted for commercial bribery in the context of a tender. The prosecution was declared partially inadmissible, and for the majority of the facts all defendants were acquitted. The PPS also lodged an appeal in this high-profile case, which will continue before the court of appeal. Moreover, recent convictions have shown that there is an increasing focus on investigating instances of alleged bribery in the semi-public sector, such as housing corporations and educational institutions. In late 2016 and early 2017, several domestic bribery cases were settled. 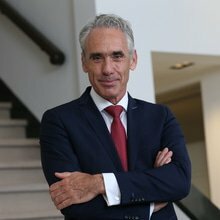 A settlement of €12 million was reached with a major Dutch importer in the automotive sector, as well as €2 million settlements with major Dutch businesses operating in this sector. These cases involved the bribery of police and Ministry of Defence officials. The individuals involved were prosecuted; their cases are ongoing. A trend of pursuing potentially culpable – often high-ranking – individuals in bribery and corruption criminal investigations can be observed in the Netherlands. In line with this trend, individuals (including executives) are increasingly excluded from settlement agreements. These individuals are often indicted. Moreover, authorities are increasingly calling upon companies to self-investigate potential misconduct and subsequently disclose their investigation results. Companies may have an interest in disclosing this information when negotiating a settlement agreement. However, owing to a lack of prosecutorial guidelines, the exact rewards for self-reporting cannot be determined. In addition, investigating authorities are increasingly focusing on the 'facilitators' of illegal conduct, such as accountants, external auditors and financial institutions.15 The PPS is increasingly cooperating with the Dutch financial market regulators, the Netherlands Authority for the Financial Markets and De Nederlandsche Bank (DNB), which are increasingly involved in corruption cases involving financial institutions. Bribery is a criminal offence and is therefore considered an unlawful act under civil law. It is possible for an injured party, including shareholders and stakeholders, to file a lawsuit to obtain full compensation for damages it may have suffered as a result of bribery. For example, if a company is not awarded a contract in a tender process because one of the other competing companies paid bribes, it may have a cause of action against the party who paid the bribe. Payments of damages are often included in a settlement agreement. Dutch criminal law does not have a specific act covering foreign bribery that provides wide extraterritorial jurisdiction. Partly in response to the Organisation for Economic Co-operation and Development (OECD) Convention on Combating Bribery of Foreign Public Officials in International Business Transactions, the Dutch legislator has introduced Section 178(a) into the DCC. This article provides that persons in the public service of a foreign state or of an organisation of international law (e.g., the United Nations) are considered public officials, as provided for in Sections 177 and 363 of the DCC. It follows from this that foreign and domestic officials are treated equally and the same offences apply to both kinds of officials. There is no definition for the term 'foreign public official' or any case law defining which criteria are applicable. However, based on legislative history it can be assumed that the same criteria for domestic officials will apply to foreign officials. a Dutch public official or the person in the public service of an international organisation having its seat in the Netherlands and who committed the offence of bribery abroad. A foreign public official bribed abroad by a Dutch citizen cannot be prosecuted in the Netherlands unless that public official is in the service of an international organisation having its seat in the Netherlands or (part of) the act of bribery has been committed within the territory of the Netherlands. the initiative for the gift was taken by the foreign public official. Because facilitation payments fall within a grey area, it is generally recommended that organisations have a clear policy on them. To minimise the risk of facilitation payments and bribery, and to create clarity, a growing number of businesses are opting for a zero-tolerance policy. The penalties for foreign bribery are the same as those mentioned above for domestic bribery cases (see Section II.vi). The DCC includes several record-keeping obligations. However, no specific reference is made in these rules to the obligation to record the payment of bribes. When public prosecutors are presented with public official or private commercial bribery, they seldom use provisions on financial record-keeping. However, it is an inherent possibility in bribery cases that there has also been a violation of these provisions. If bribes paid by a company are covered up by false descriptions on the invoices and in the corporate books, the company may be prosecuted for the possession or the drafting of false documents within the meaning of Section 225 of the DCC. The prohibition on forgery is not an 'accounting rule' in the strict sense of the word, but forgery may obviously be an accessory to concealing bribery. If the bribes are very substantial compared to the overall costs and revenue of the company, this could also constitute the offence of publicising false annual accounts (Section 336 DCC). The punishment for forgery committed by individuals is a fine of up to €82,500 or six years of imprisonment, or both. For legal entities, the maximum fine that may be imposed is €820,000, or, if this amount is not deemed appropriate, a fine of up to 10 per cent of the annual turnover of the preceding fiscal year may be imposed. The Dutch Money Act on the Prevention of Money Laundering and Financing of Terrorism (WWFT) requires auditors, as well as credit, financial, investment and other institutions, to conduct client due diligence and inform the Financial Intelligence Unit of intended or completed unusual transactions. Transactions are considered unusual if they give rise to suspicion of a connection with money laundering or terrorism financing. Money laundering includes, among other things, the possession or the transfer of money originating from a criminal offence. As bribery is a criminal offence, the payment of a bribe may qualify as an unusual transaction. The violation of specific provisions from the WWFT is considered a serious offence if the violation was committed with intent. Without intent it constitutes a lesser offence. The punishment for serious offences under the WWFT is a maximum of two years' imprisonment or a maximum fine of €82,000 (for legal entities, the maximum fine is €820,000, or if this amount is not deemed appropriate, a fine of up to 10 per cent of the annual turnover). The punishment for lesser offences under the WWFT is a maximum of one and a half years' imprisonment or a maximum fine of €20,500 (or €82,000 for legal entities). Pursuant to Section 420 bis of the DCC, intentional money laundering is an offence, provided that at the time the offence is committed the suspect was aware of the fact that the object he or she possessed, disguised or concealed had been acquired by means of a criminal offence. Only conditional intent has to be proved (i.e., intentionally exposing oneself to the considerable likelihood that the object was acquired by means of a criminal offence). The knowledge of the suspect may be inferred from objective circumstances. Intentional money laundering is punishable with a maximum prison sentence of six years or a maximum fine of €82,000 for natural persons, or €820,000 for legal entities or a fine of up to 10 per cent of the annual turnover of the preceding fiscal year. Habitual money laundering requires proof of intentional money laundering committed repeatedly and is punishable by virtue of Section 420 ter of the DCC. The maximum prison sentence is eight years and a maximum fine of €82,000 for natural persons or €820,000 (or a fine of up to 10 per cent of the annual turnover of the preceding fiscal year) for legal entities. Pursuant to Section 420 quater of the DCC, the act of negligent money laundering is an offence as well. The prosecution must prove that the suspect could have reasonable suspicions of the object concerned having been acquired by means of a criminal offence. Negligent money laundering carries a maximum prison sentence of four years and a maximum fine of €82,000 for natural persons or €820,000 (or a fine of up to 10 per cent of the annual turnover of the preceding fiscal year) for legal entities. The offence of money laundering pertains to all assets that are the proceeds of any criminal act. The onus is on the public prosecutor to prove that the proceeds were acquired by means of a criminal activity. No proof is needed for the specific predicate offence itself and for the exact origin of the laundered proceeds. Bribes are funds acquired by means of the offence of bribery. The person accepting the bribes could therefore also be guilty of money laundering. In accordance with recent case law, it is required that in such a case an additional element has to be proven; to be punishable for money laundering, the recipient of the bribe must also have acted to conceal the criminal nature of the object. As of January 2017, a provision regarding self-laundering was enacted under Section 420 quater of the DCC. To be held liable, the prosecution must prove that the suspect obtained or possessed an object resulting from his or her own criminal offence. Therefore, actions to conceal the criminal nature of the object are not required. Self-laundering carries a much lower penalty: a maximum prison sentence of three months and a maximum fine of €20,500 for natural persons or €82,000 for legal entities. Financial institutions and civil law notaries are increasingly being investigated on suspicion of money laundering because bribes involved in criminal cases are often paid through their systems. In a high-profile landmark case, the Dutch bank ING Groep NV reached an out-of-court settlement with the PPS; this Dutch variety of a deferred prosecution agreement (DPA) pertains to money laundering at the bank over a long range of years, 2010–2018. On top of that, the bank acknowledged not having lived up to its duty of care in the context of know-your-client and anti-money laundering regulations. The bank agreed to pay the state an amount of €775 million.16 The settlement agreement read: 'No individuals to be prosecuted, since responsibility and culpability for the violations involved were scattered over too many persons to hold anyone personally liable.' The out-of-court settlement reflected a lot of the features of US DPAs. The latter two cases demonstrate that the PPS has kept its word on paying attention to the facilitators of bribery and corruption. Over the past few years, partly because of international pressure (see Sections VII and VIII), the government has intensified its enforcement of foreign bribery. Moreover, the extraterritorial reach of foreign laws such as the Foreign Corrupt Practices Act, the UK Bribery Act and more recently, Sapin II, has contributed to a marked increase in cross-border cooperation by the PPS. This cooperation is evidenced by a recent major joint settlement in early 2016 between VimpelCom Ltd, a global provider of telecommunication services, and the PPS and the US Department of Justice (DOJ) and Securities and Exchange Commission (SEC). The settlement amount was split evenly between the PPS and (jointly) the DOJ and SEC. With both authorities receiving US$397,500,000 this settlement has become known as the largest settlement ever made in the Netherlands. US$167,500,000 of this amount was confiscated proceeds. The PPS accused VimpelCom of paying bribes to public officials in Uzbekistan prior to and after entering the Uzbek telecommunications market in 2006. The PPS held that this enabled VimpelCom to gain a dominant position in the Uzbek telecommunications market and thus make a great deal of profit. In PPS's view those payments constituted bribery of public officials and forgery. It has been announced that the criminal investigation will be continued into several private individuals involved in criminal offences. In its press release the PPS commented that 'the parallel action by the public authorities against corruption is proof of the international fight against corruption and that corruption does not pay off'. In the settlement the PPS further declared that VimpelCom had carried out a large number of compliance measures, reducing the risk of recurrence. Notably, for the first time in history the PPS published an account of facts. In September 2017, the PPS, DOJ, SEC and Swedish authorities reached a joint settlement agreement of US$965 million with Telia Company, a Swedish telecommunications business. As with VimpelCom, the settlement concerns allegations of the payment of bribes to public officials in Uzbekistan in exchange for an agreement to expand Telia's share of the country's telecommunications market. Under the joint agreements, Telia will pay US$548 million in criminal penalties, including a US$274 million criminal penalty imposed by the PPS. Furthermore, the disgorgement order amounts to US$457 million. Another landmark settlement was reached by the PPS in 2014 with SBM Offshore, in which the latter agreed to pay US$240 million. The settlement included a fine of US$40,000 and US$200,000 of confiscated proceeds (Article 36e DCC). The case involved alleged bribery of public officials, private commercial bribery and forgery by commercial agents in Equatorial Guinea, Angola and Brazil. In reaching a settlement, the PPS took into account that SBM Offshore had voluntarily conducted an internal investigation, based on which it reported the issue to the prosecutor. In this case, too, the PPS worked together with the US authorities. To date, only one case of foreign bribery has been tried – in absentia – in the Netherlands, resulting in the imposition of a fine of almost €1.6 million and a disgorgement order of €123 million.18 This concerned a case against a private legal entity involved in the VimpelCom and Telia cases. the United Nations Convention against Corruption (New York, 31 October 2003). The instruments of the OECD, the United Nations and the European Union are of particular interest. For each instrument an organisation has been created, responsible for monitoring the implementation and enforcement of the anti-corruption instrument. In December 2012, the OECD Working Group on Bribery concluded that the Netherlands failed to vigorously pursue foreign bribery allegations and must do more to enforce its foreign bribery laws. The OECD Working Group recommended that the Netherlands proactively investigate foreign bribery cases concerning Dutch individuals or companies, including where other jurisdictions may be involved, and to provide adequate resources to Dutch law enforcement authorities to more effectively investigate and prosecute foreign bribery.21 As expressed in a follow-up report in 2015, the Netherlands has implemented most of the recommendations.22 Of particular note was the collaboration with authorities from other countries in criminal investigations into corruption. In 2016, in response to criticism from the OECD regarding (legal) protection of whistle-blowers,24 the House for Whistleblowers Act came into force. The Act establishes an independent administrative body (the House) and requires companies with a minimum of 50 employees to adopt a procedure with certain safeguards for dealing with whistle-blowers. Before voicing their suspicion of misconduct within the company, whistle-blowers can now contact the House for advice on how to handle their concerns. In July 2017, the Fourth EU Anti-Money Laundering Directive was implemented.25 The implementation did not have a serious effect, as most measures had already been introduced in the Third EU Anti-Money Laundering Directive and in the WWFT (see Section V.i). The most important change is likely to be the introduction of an ultimate beneficial owners register. This register will contain the ultimate beneficial owners of all legal entities registered in the Netherlands. The register will be accessible to all institutions subject to the Act and to any individual or entity who can prove they have a legitimate interest in viewing the directory. When a company is suspected of bribery, it may argue in a specific case that the company exercised due care to prevent the bribery by, for example, providing adequate procedures or other measures to prevent bribery offences. If accepted, such a defence will not automatically prevent criminal liability. Should the company still be held liable, however, such a defence will have a mitigating impact on the penalty and, if accepted, will also negate the liability of directors. In early 2017, a brochure called 'Doing business honestly and avoiding corruption' was published by the International Chamber of Commerce Netherlands, in collaboration with the government.27 This brochure provides companies with (1) guidelines for doing business abroad; (2) an explanation of what bribery entails; (3) practical advice to prevent corruption; and (4) brief guidelines on how to create an integrity programme and a code of conduct. In 2014, DNB published good practices to help banks and insurers fight corruption in the form of bribery or conflicts of interest.28 These good practices reflect the outcome of a thematic analysis performed by DNB, which showed that these sectors can do more to identify and effectively tackle corruption risks. DNB states that incidents revealing a lack of integrity that test the public's confidence in the finance sector still occur with some regularity in the Netherlands. It is therefore essential for Dutch financial undertakings to take measures to prevent such incidents from occurring. To support banks and insurers in their efforts to combat corruption, DNB has identified good practices to fight corruption. In 2016, the Royal Netherlands Institute of Chartered Accountants recently published a manual that outlines how to act in the event that signs of corruption are found when reviewing annual financial statements. 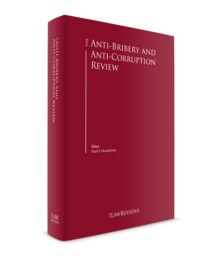 In general, multinational companies tend to implement anti-bribery compliance systems based on rules and guidance relating to the US Foreign Corrupt Practices Act and the UK Bribery Act 2011. Moreover, the trend towards standardisation is expected to increase with the new certification standard 37001 from the International Organization for Standardization, which specifically addresses anti-bribery in corporations. The number of bribery cases being investigated and prosecuted in the Netherlands is steadily increasing, leading to landmark convictions and settlements. The focus of the PPS remains on the investigation of allegations of bribery in both public and semi-public sectors. Legal entities and (high-ranking) individuals within companies, as well as politicians, are increasingly subject to criminal investigation. Simultaneously, there is a shift from solely focusing on the actors directly involved in bribery and corruption to investigating and prosecuting the facilitators of bribery and corruption. In doing so, the Netherlands is increasingly cooperating with authorities abroad, such as the DOJ. 1 Aldo Verbruggen is a partner at Jones Day. 2 Supreme Court 30 January 1911, W 9149. 3 Supreme Court 30 May 1995, ECLI:NL:HR:1995:ZD0179 Section 6.2. 4 Supreme Court 18 October 1949, NJ 1950, 126. 5 Supreme Court of the Netherlands 31 January 2012, ECLI:NL:HR:2012:BQ8891. 6 Supreme Court of the Netherlands, 21 October 2003, ECLI:NL:HR:2003:AF7938 (Drijfmest/Zijpe). 7 See T R van Roomen et al., 'Corporate Criminal Liability for Corruption Offences and the Due Diligence Defence: A Comparison of the Dutch and English Legal Frameworks', Utrecht Law Review, Volume 10, Issue 3, June 2014 (www.utrechtlawreview.org/index.php/ulr/article/view/283). 8 Supreme Court of the Netherlands 11 April 2017, ECLI:NL:HR:2017:641. 9 Supreme Court of the Netherlands 5 July 2016, ECLI:NL:HR:2016:1393. 10 See, for example, District Court Midden-Nederland 20 May 2016, ECLI:NL:RBMNE:2016:3936. 11 Supreme Court of the Netherlands 14 February 2017, ECLI:NL:HR:2017:222. 12 District Court Rotterdam 12 July 2016, ECLI:NL:RBROT:2016:5272. 13 District Court Rotterdam 22 February 2018, ECLI:NL:RBROT:2018:1339, ECLI:NL:RBROT:2018:1334, ECLI:NL:RBROT:2018:1333, ECLI:NL:RBROT:2018:1332. 14 Nederlandse Spoorwegen, or NS. 15 See 'OM kijkt naar rol banken in smeergeldaffaire VimpelCom', 19 February 2016, Het Financieele Dagblad. 16 Settlement agreement of 3 September 2018. 17 See: 'EY to be prosecuted in the Netherlands over VimpelCom transactions', on 5 April 2018, Global Investigations Review. 18 District Court of Amsterdam 20 July 2016, ECLI:NL:RBAMS:2016:4520. 19 Goudriaan, 'Nederland is een beetje corrupt en glijdt verder af', NRC 3 March 2017. 21 OECD Working Group on Bribery, www.oecd.org/daf/anti-bribery/Netherlandsphase3reportEN.pdf, December 2012. 23 Wetsvoorstel Computercriminaliteit III (Kamerstukken I 2016/17 34 372, A). 24 Available at www.oecd.org/daf/anti-bribery/Netherlands-Phase-3-Written-Follow-Up-Report-ENG.pdf, p. 5. 25 Directive (EU) 2015/849 of the European Parliament and of the Council of 20 May 2015 on the prevention of the use of the financial system for the purposes of money laundering or terrorist financing, amending Regulation (EU) No. 648/2012 of the European Parliament and of the Council, and repealing Directive 2005/60/EC of the European Parliament and of the Council and Commission Directive 2006/70/EC. 26 Stcrt. 2015, 38178, available at wetten.overhcid.nl/BWBR0033004/2016-0101.